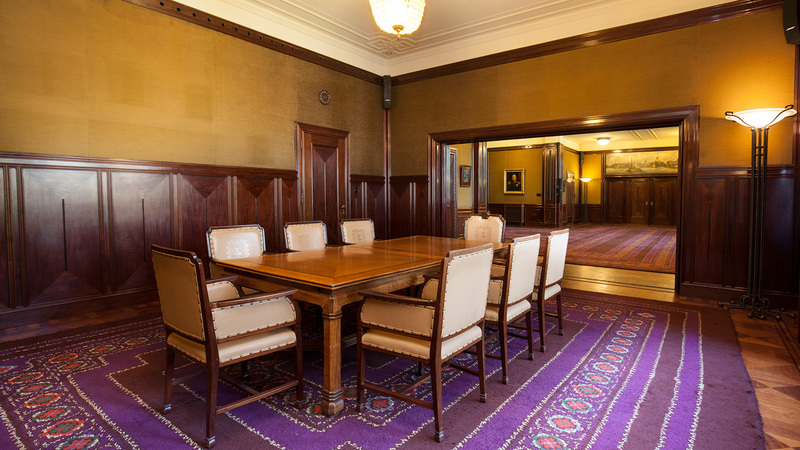 This room is ideal for your meeting or presentations. 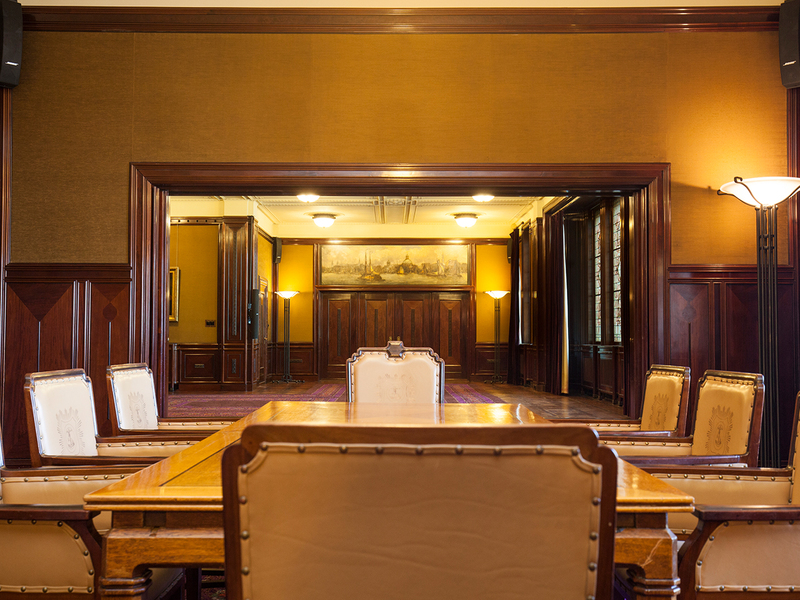 Using the large sliding doors, this room can be drawn in the extension of the King’s Hall. Thus, a conference capacity for 200 people can be realized. In the room there are extra boxes that can be connected with the sound system of the King´s Hall. More monitors can also be placed with the image of the speaker and of the PowerPoint. 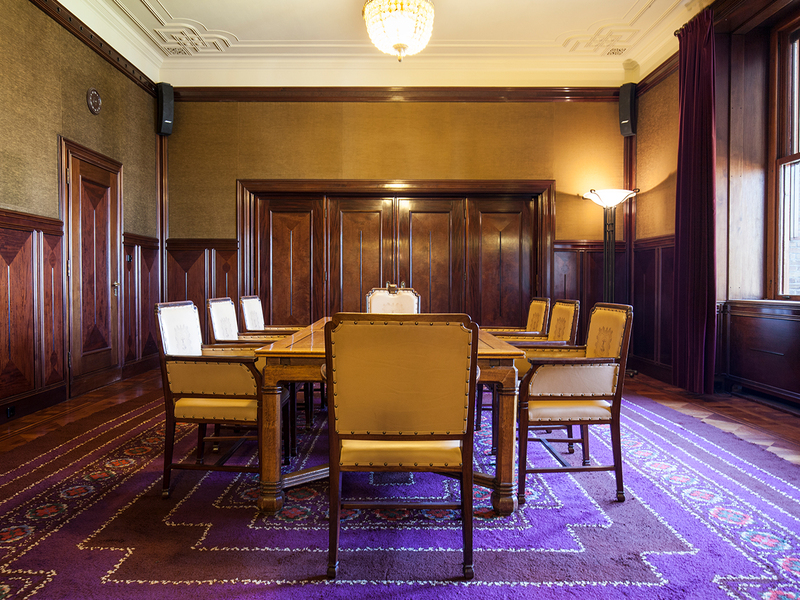 This room was used as a meeting room for the supervisory directors of the Dutch Trading Company and stands out because of the beautiful and authentic decoration. 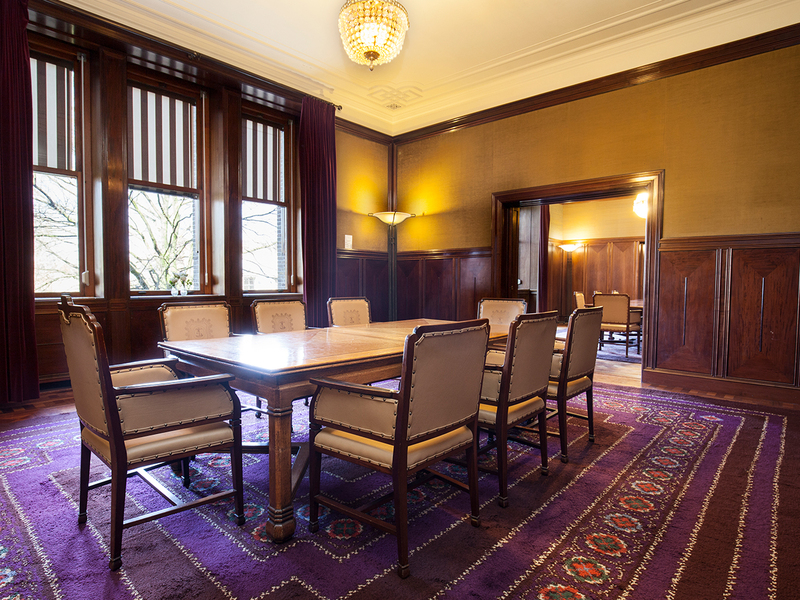 The used panelling in the room is made of Indonesian Coromandel wood.